Don't throw this out at the end of the season! We know, it's typical to grow mums for a fall container show and discard them out after the season, but there's no need with this incredible mammoth mum! 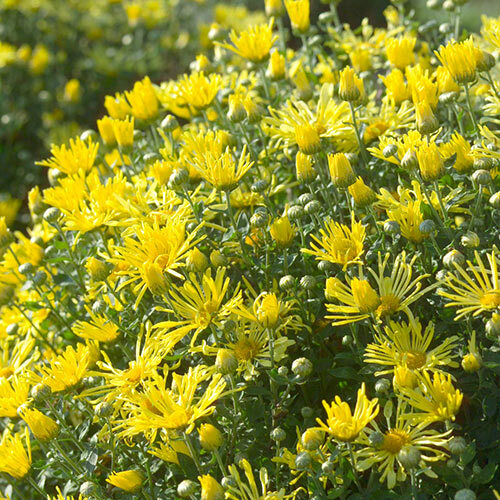 The University of Minnesota has specially bred a series of mums that you can plant in spring, let establish its roots through the warmer seasons and they'll perennialize easily all the way up through zone 3! Without pinching, pruning or deadheading, this plant will mature to a nicely mounded form, completely coated in fall color. 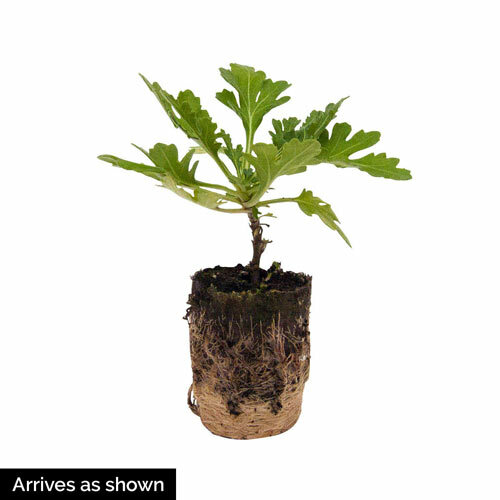 By year 3, the plant will grow up to 3.5 feet tall and up to 5 feet wide. As a perennial, it's great for lasting structure in the garden and dependable color after the big summer show is through. Yellow Quill's flower form is unique too! 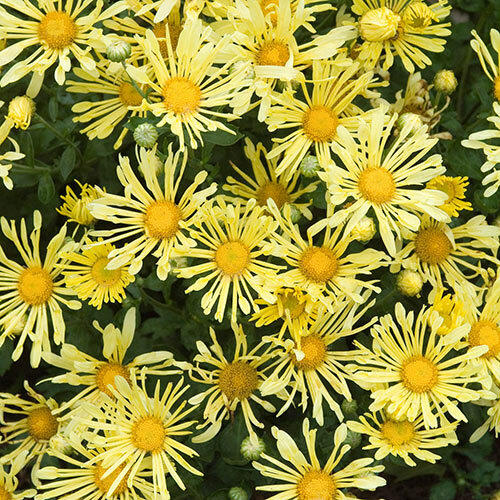 The yellow petals are unusually fluted, some with a little spoon-shaped tip. Attracts butterflies, not deer.